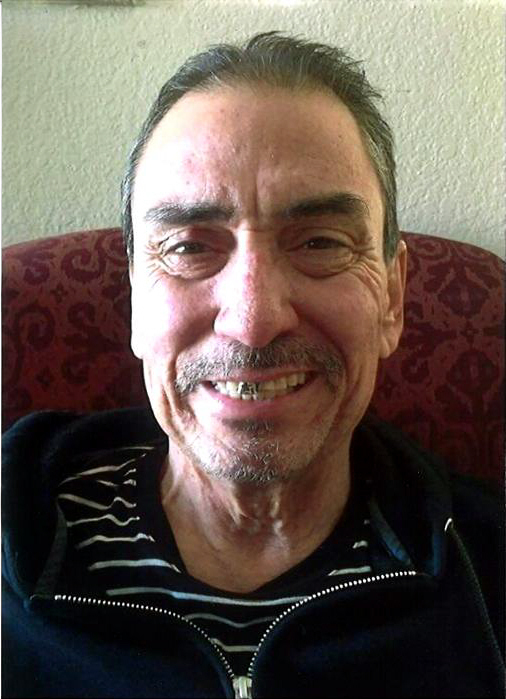 Reyes “Ray” Lozano Jr, 57 passed away Tuesday, April 9, 2019 in Lubbock. Services for Mr. Lozano will be 10:00 am Tuesday, April 16, 2019 at Our Lady of Guadalupe Catholic Church in Lubbock with Father Martin Pina officiating. Burial will follow in Peaceful Gardens Memorial Park under the direction of Calvillo Funeral Home. There will be a rosary at 7:00p.m. Monday, April 15, 2019 at Calvillo Funeral Chapel with a viewing starting at 1:00p.m. to 9:00pm. Reyes was born November 10, 1961 in Brownfield to Reyes Sr. and Janie Lozano. He worked in maintenance for Lubbock LISD for many years. He also was a talented person whom loved to fix cars and race them. Most of all, he enjoyed spending time with his family. He is survived by his wife Yolanda, his mother Janie Strickland, one son Ray Lozano III, four daughters, Reagan Lucio, Megan Lozano, Amanda Lozano, Jessica Lozano all from Lubbock; two brothers, Ricky Lozano of Idalou, Roy Lozano of Lubbock; two sisters, Diane Garcia, Marty Farias both of Lubbock; eighteen grandchildren; two great grandchildren. He is preceded in death by his father Reyes Lozano Sr. and a son Justin Lozano (2005).